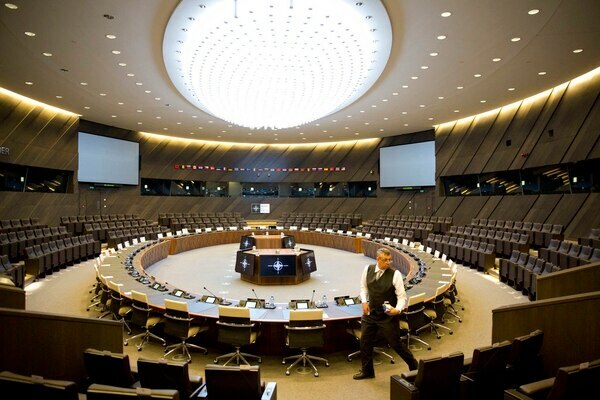 BRUSSELS — NATO will hold its last major meeting in its old headquarters on Friday, with talks focused on strained ties with Russia, a fresh peace effort in Afghanistan and a new training mission for Iraq. Secretary General Jens Stoltenberg said the allies are trying to arrange a meeting with Moscow’s envoy before U.S. President Donald Trump joins his NATO counterparts in Brussels for a summit in July. The NATO-Russia Council has not convened this year and the March 4 poisoning of an ex-Russian spy in Britain plus the chemical attack in Syria that has been blamed on Moscow ally Syrian President Bashar Assad underline the need for more talks, he said. The ministers, holding their 70th and final meeting before moving across the road to NATO’s new, sprawling billion-dollar premises, will also discuss Georgia and Ukraine’s aspirations to join the world’s biggest military alliance. NATO’s top military officer and civilian official in Afghanistan will brief the ministers on peace efforts there as they try to bring Taliban fighters to the table and end the yearslong stalemate on the battlefield. The meeting comes amid a new wave of attacks across Afghanistan. An Islamic State suicide bomb attack Sunday on a voter registration center in Kabul, the capital, killed 57 people and wounded more than 100 others. In addition, at least 18 troops and police officers have been killed in Taliban attacks this week. Still, NATO officials see an “unprecedented opportunity” in Afghan President Ashraf Ghani’s offer of unconditional peace talks accompanied by a cease-fire, the recognition of the Taliban as a political party and the release of some prisoners. They also say peace protests have been an encouraging sign. “There are now spontaneous, not at all engineered by the government, peace rallies. People saying we want peace, we now are beginning to see that there can be something different in Afghanistan,” U.S. NATO Ambassador Kay Bailey Hutchison told The Associated Press. The ministers are also likely to agree on the details of NATO’s new training mission for the Iraqi armed forces. 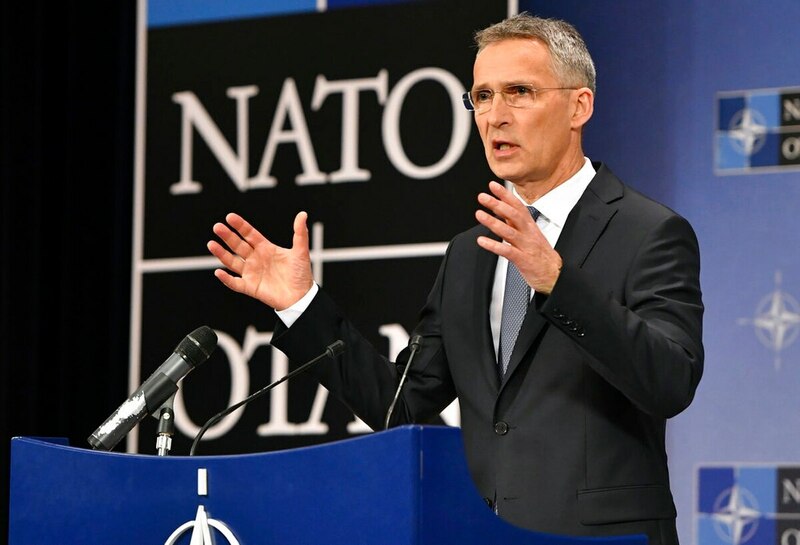 That effort involves “several hundred” NATO personnel, according to Stoltenberg, who will help build up military academies with the aim of preventing the re-emergence of the Islamic State group. On NATO expansion, Stoltenberg said the ministers will discuss the wishes of Macedonia and Georgia, noting that Macedonia could be given an invitation to join at the July summit if a dispute with Greece over the tiny former Yugoslav republic’s name is resolved. Georgia is unlikely to become a NATO member as long as Russia holds sway over its breakaway provinces of Abkhazia and South Ossetia.